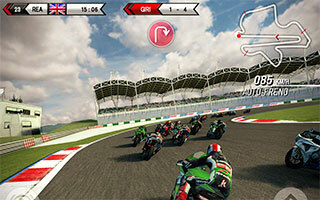 SBK15 Official Mobile Game – take part in a world motorcycle race championship. 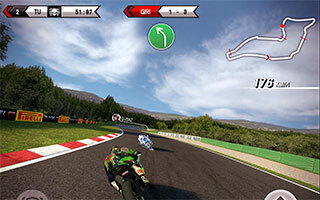 Choose one of famous racers and help him win on different tracks. 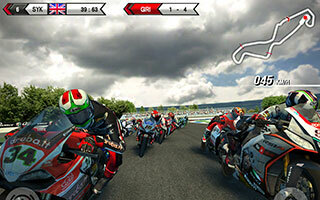 Drive your bike at the top speed along difficult oval race tracks in this game for Android. Pick the bike of your dreams from the biggest brands in the world (Aprilia, Kawasaki, Honda, Ducati, Suzuki, MV Agusta, BMW) and hit the track! Be careful on the road and don’t crush into one of your rivals. Follow the map and the signs to not fly off the track. 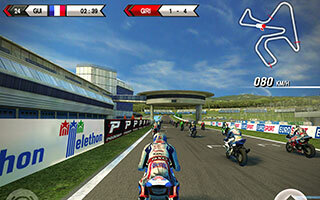 Each competitor in the game has unique characteristics and a motorcycle. Be quick to download SBK15 Official Mobile Game on the same machine to experience the fun, bring about relaxation after hours of studying stress.